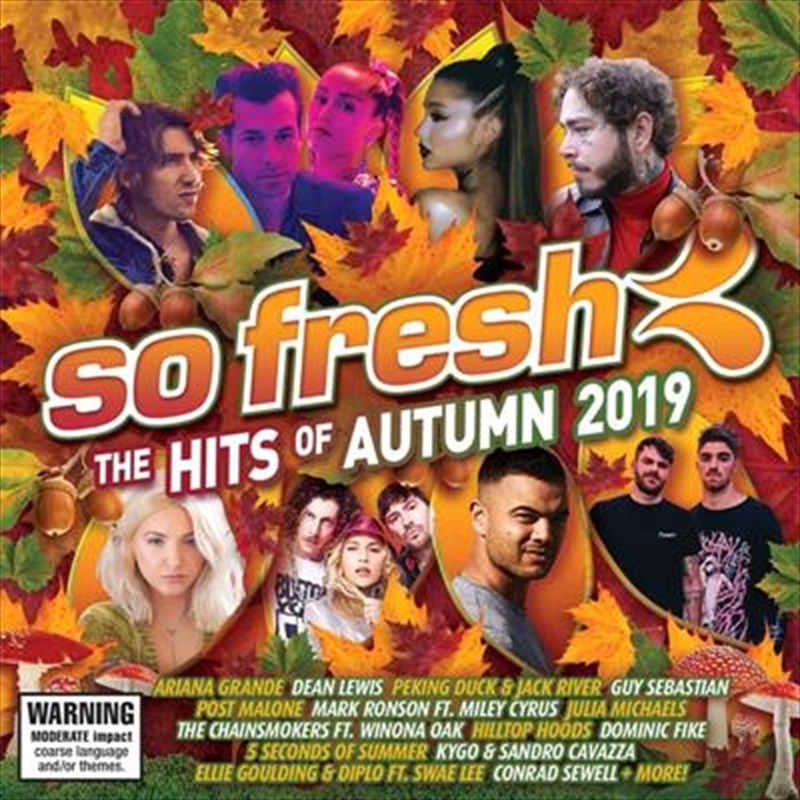 So Fresh: The Hits Of Autumn 2019 has jammed 23 of the biggest hits onto the one album from the hottest artists out right now! There’s nothing but the biggest hits from the likes of Ariana Grande, Mark Ronson & Miley Cyrus, Post Malone, Dean Lewis, KIAN, Sam Smith & Normani, Dominic Fike, Hilltop Hoods, Julia Michaels, Guy Sebastian, 5 Seconds Of Summer and SO MUCH MORE!!! So Fresh: The Hits Of Autumn 2019 is one not to be missed – make sure you’ve got all the biggest hits of the season on the one must buy album!